The Bleckley Inn stands on one of the most historic sites in Anderson, SC. Wooden floors and exposed brick from more than 100 years ago are combined with the technology and conveniences of today to create a luxurious 14-room getaway. 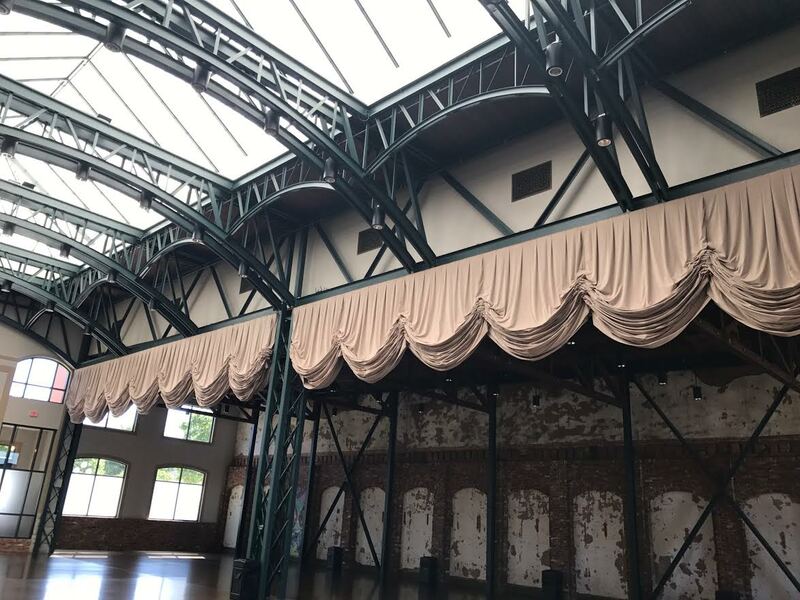 In January 2017 The Bleckley Station opened at 310 S Main Street, featuring an additional 10,000 square feet of event space and 2 suites for weddings. The dream of owner, Steve Kay was to provide a space for up to 500 people to gather for celebrations of life and to design the space to honor the features of the old Penn Station in New York City. Although the old Penn station is gone which was his model, he said; “Grand Central in NYC has the original grill in the lower level that looks exactly like these. Come visit sometime.” The grille that Steve Kay referenced in the lower level of Grand Central is Beaux-Arts Classic Products historic reproduction Arts and Crafts grille. The interior features reclaimed brick, a 1914 cornerstone, and cast iron vents which were all salvaged and used in the new construction. This space features a skylight, soaring trusses, and theatre curtains which can be used to subdivide the room and create more intimate settings. 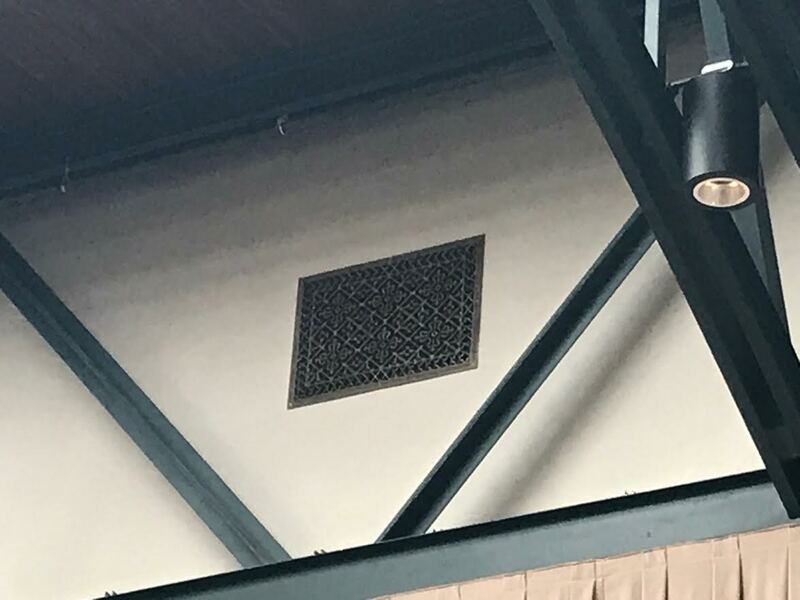 An important feature of the Penn Station inspired space are, of course, the historic reproduction Arts and Crafts style grilles. Our Arts and Crafts style decorative grille is a perfect choice for this unique space. These historic reproduction decorative grilles were originally made in New York State in approximately 1870-1914. They are the most outstanding return air grilles ever made in the USA. Andrew Carnegie placed them in most of the Carnegie Libraries from 1883 to 1929. We have been manufacturing these historical reproduction supply vents in the USA since 1990, using the highest quality urethane resin which is strong, dimensionally stable and heat resistant and captures the exact details of the originals. They can be used for historic preservation since they meet U.S. Government’s General Services Administration Code #1501003S Standards for Historic Preservation Guidelines. They are intended for forced air heating and air conditioning systems as either return air grilles or supply vents. Use them to replace noisy HVAC louvered vents since they won’t make noise. Resin does not vibrate. They are made from an exterior grade resin appropriate for exterior applications such as foundation crawl space grilles and can be used in wet or damp locations such as fan covers in bathrooms or near indoor swimming pools. They will not rust, rot or corrode. They are maintenance free. You should not need to repaint, remove rust, corrosion or mold for the life of the grilles. Other uses are as speaker grilles in home theaters and historic theaters, or in-wall and in-ceiling speaker covers and can be installed in radiator cabinets as radiator grilles. This project chose our Rubbed Bronze Finish. This was not the first time The Bleckley Inn purchased our decorative grilles. The Inn lobby and lounge has a ductless air conditioning system which they transformed with our arts and crafts grilles. This is a very attractive transformation of an industrial ductless air conditioner.